The name of the game with implants is to have sufficient bone in height and in width for placement. 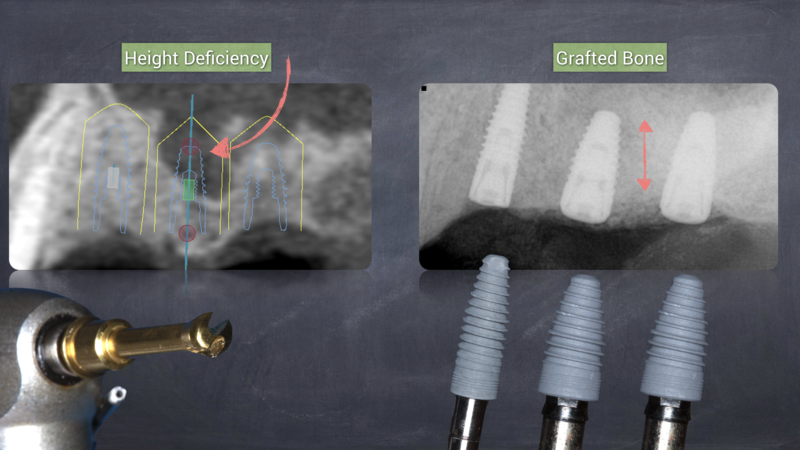 Similar to a fencepost in the ground needs the support of adjacent structures, implants require rigid support in order to allow for a healthy implant. There are three broad approaches for bone grafting procedures, depending on if the tooth is still present or not: socket graft, ridge augmentation, and sinus lift. A “socket graft” is used if the tooth is still present in an area that needs to be replaced due to a cavity or bone loss. Once the tooth is carefully removed, the socket is filled with bone and meticulously stitched into place to preserve this area. After a healing period of 3-6 months, an implant can be placed into the hardened jaw bone. If the teeth have been gone for a long time, the jaw bone will slowly go away. 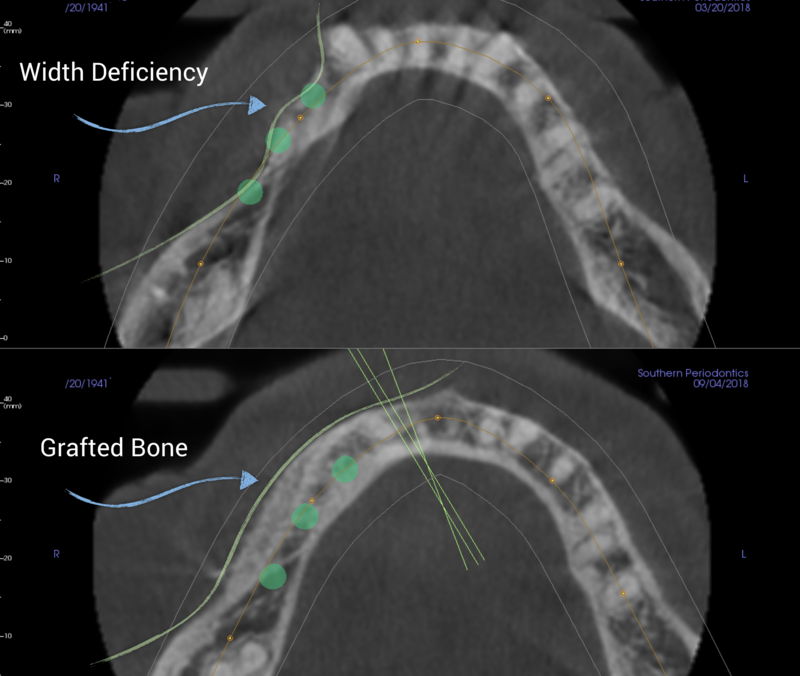 In order to allow for sufficient length and width of implants to be placed, a “ridge augmentation” can be completed to increase these dimensions for implant placement. This process usually involves the placement of bone and a covering membrane with the careful covering of adjacent tissue to protect the graft. A “sinus lift” is usually used in places where the implants need to be placed in the back of the top row of teeth. If teeth have been lost for a long time, the neighboring sinuses may drop down into this area, leaving an open air space. 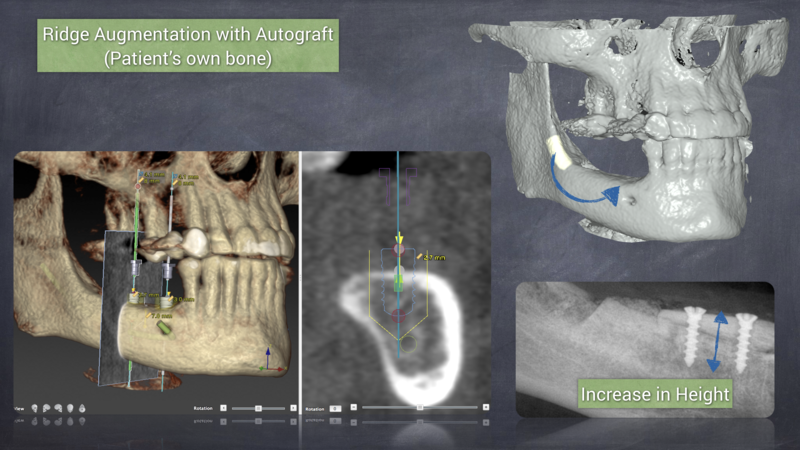 Similar to the fencepost example, the implants will need to have rigid support all the way around them. 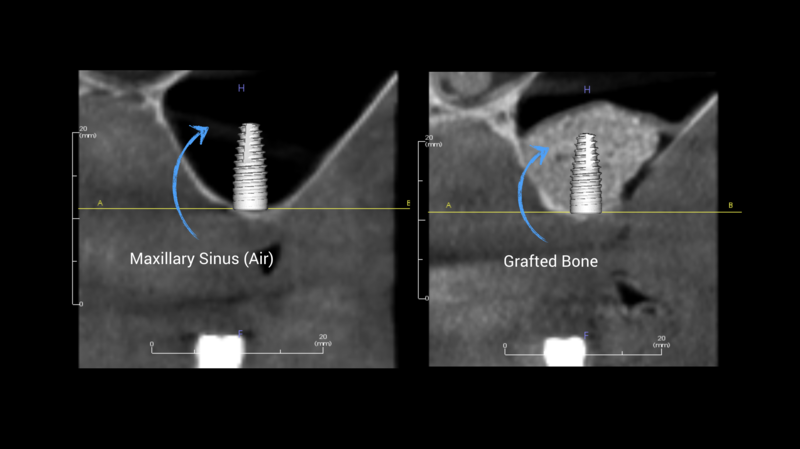 The sinus can be easily elevated to the original level and bone placed in this area for future implants.